Hold your horses! Wilkhahn’s new pommel horse seat "Sitzbock"
The "Sitzbock" encourages new postures and ways of interacting. Design: RSW Rudolph Schelling Webermann. In order to encourage people walking through an office building to talk to one another, we need areas that surprise, arouse curiosity and are attractive in the long term. 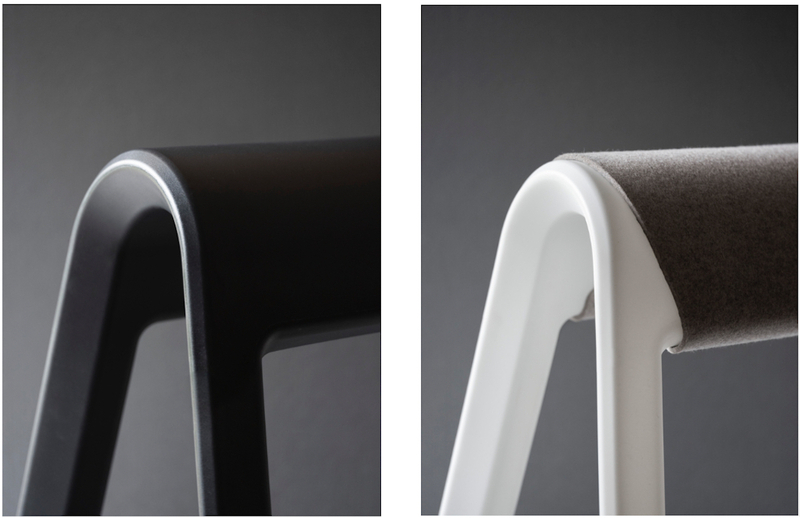 Which is why design studio RSW developed the pommel horse seat “Sitzbock” that enables a variety of different postures. The "Sitzbock" is available in black, white, grey or orange. It also optionally comes with a felt saddle blanket, which is also available in four colours. It’s 707 mm high, 627 mm wide and its legs splay out to 520 mm. Just like a real horse, you can sit astride or ride “side saddle” or use it to lean on. 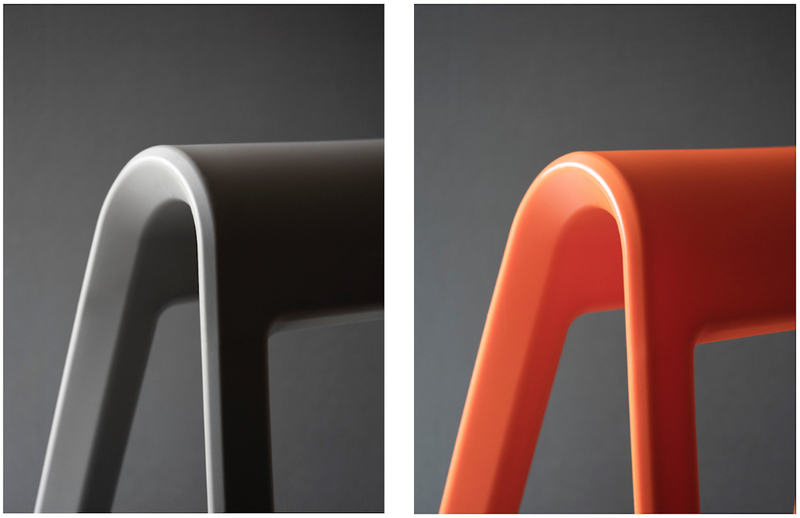 The “Sitzbock” is rotary moulded in black, white, grey or orange through-dyed polypropylene. At just 4.8 kg in weight, they’re easy to place in groups for spontaneous meet-ups, up to four can be stacked cross-wise or they can be picked up and put on patios for a while. Anyone preferring a little more comfort can give their pommel horse seat a non-slip felt “saddle blanket” that comes in anthracite, graphite, mango or a light mottled hue for extra colour combinations. Positioned in small herds, the colourful pommel horse seats create an atmosphere that’s just as playful as it is ergonomic and invites interaction. We invite you to come and try out the “Sitzbock” at Orgatec Cologne from 23 and 27 October 2018: KölnMesse, hall 6 stand B88 C89. Playful herd: the "Sitzbock" is ideal for spontaneous gatherings. Do you like the “Sitzbock”? Then we’d be delighted if you gave it an online vote in the bdia ausgesucht! competition held by the Association of German Interior Designers.